Launched at the 1973 London Motor Show, AC's mid-engined two-seater 3000ME didn't actually enter production until 1979. In 1984, after some 71 examples had been built, a deal was done for Scottish entrepreneur David MacDonald to take over the tooling and the rights to sell the car as an AC via his newly formed company AC (Scotland) plc. Production took place at Hillington, Glasgow where a further 30 MKI ME3000s were reputedly manufactured. This smartly-presented 1982 ME3000 is unique among the total production run in having been actively involved in both eras of the story. Originally the Thames Ditton factory demonstrator, it was adopted for a time by AC's Managing Director Andrew Hurlock for his personal use, and was therefore still on the company's books when the project was moved up to Scotland. Aside of extending production of the MKI, the intention was to market an improved MKII version in conjunction with Alfa Romeo, and former BRM production engineer Aubrey Woods was tasked with undertaking the related development. That work was reputedly carried out on the car now offered and included a change from 3000cc Ford to the equivalent Alfa Romeo power. At some stage 'VPC 634X' is also understood to have been fitted with a 2500cc V6 Alfa engine in preparation for a possible 2500ME model. As things transpired, the receiver was called in and the project terminated before either the MKII 3000ME or 2500ME could enter production. The vendor purchased 'VPC 634X' from our July 1997 sale, since when it spent many years in storage before being recently recommissioned at considerable cost. 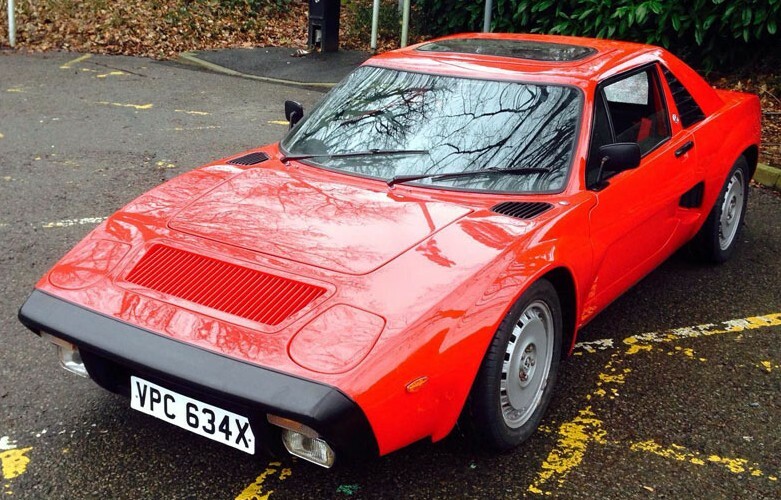 The vendor now considers the fibreglass bodywork, Red paintwork, Black cloth interior trim, V6 Alfa engine and five-speed manual gearbox as all being in 'very good' order. An historic AC and fascinating example of what the 3000ME could have been.